Knitting has been ingrained in Icelandic culture for hundreds of years. 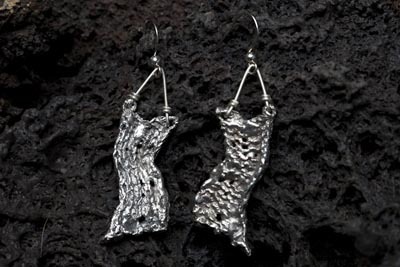 As this essential skill has passed through generations of men and women, distinctive patterns and styles have developed that are unique to Iceland. 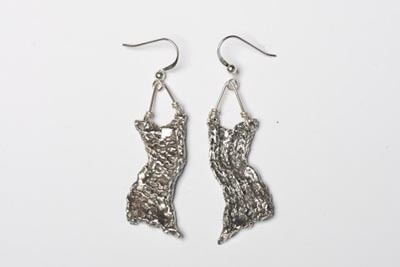 Earrings made from cast sterling silver reflecting the movement and energy of the female form. Approx. 6.3 x 1.6cm each.